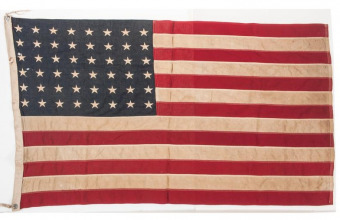 A rare and historic U.S Coastguard flag which survived the WWII D-Day landings will be offered for sale at Cowan’s Auctions next month. 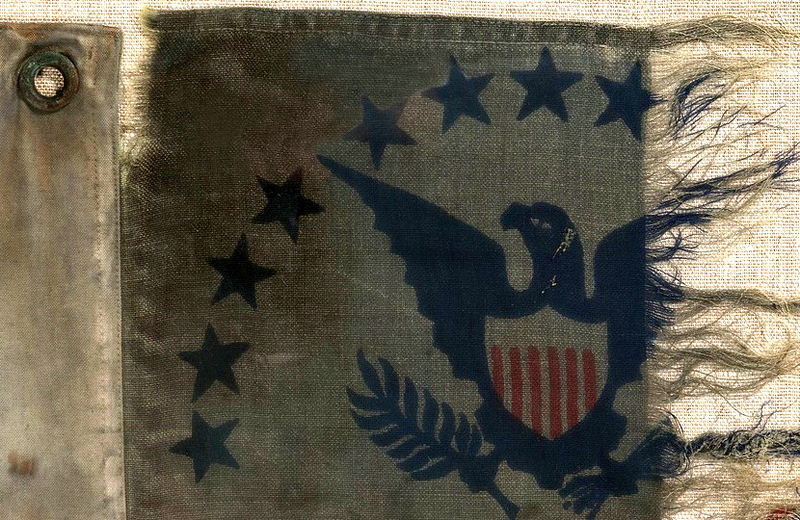 The tattered ensign flag was originally flown aboard the USS LCI(L)-86, one of almost 100 vessels manned by the Coast Guard during the Allied invasion known as Operation Overlord. 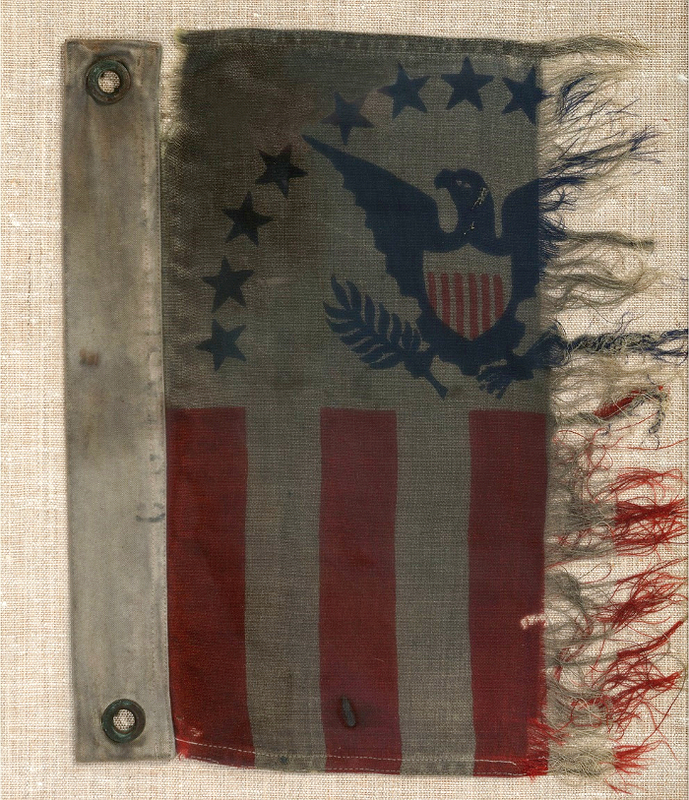 After the invasion the flag was kept by the ship’s young signalman John White, and is now expected to sell for $40,000 – $60,000 in Cincinnati on May 1. 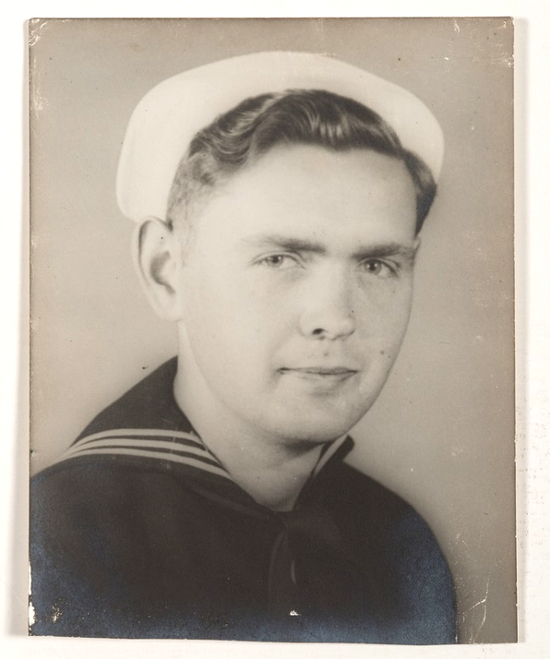 John White was born in Boston, Massachusetts, and enlisted in the United States Coast Guard in July 1943 at the age of just 17. He completed his training in Brooklyn, New York, and less than a year later found himself on the other side of the Atlantic, taking part in the largest amphibious invasion in history. During the operation USS LCI(L)-86 was assigned to Assault Group O-2, which targeted Omaha Beach, and served as the headquarters vessel and flagship of the group Deputy Commander US Navy Captain W.D. Wright. 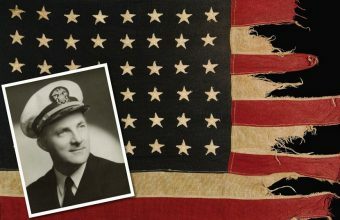 During the chaos of the Omaha Beach landing, Signalman White was given the vital task of organizing and maintaining the visual lines of communication between the headquarters ship, the flagship, and the landing craft. Approximately 1,200 men lost their lives at Omaha Beach, and thousands more were injured during the landing. White was one of the lucky ones, and following the invasion he retained the ship’s ensign flag as a memento. John White continued to serve in the U.S Coastguard as part of Rescue Flotilla One, and just a few months later was present during the sinking of the S.S. Léoplodville, a disaster in which approximately 800 American lost their lives. He eventually left the Coast Guard in 1946, but re-enlisted in the U.S Air Force in 1950 and served until 1969. 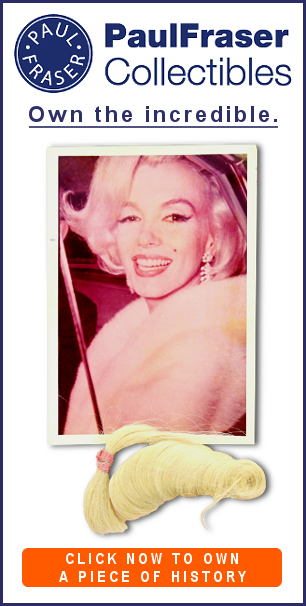 He passed away in August, 1996 and is buried in San Antonio, Texas. 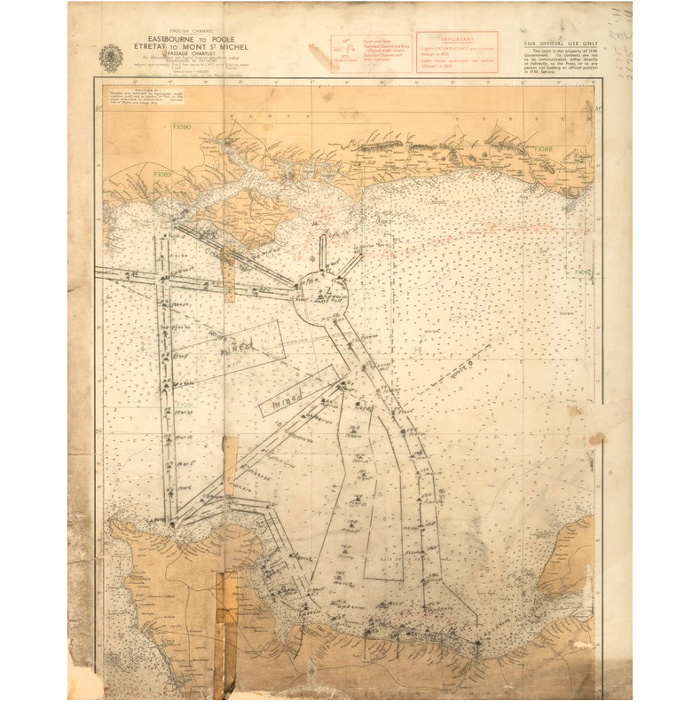 Offered alongside the flag is an original landing map used onboard USS LCI(L)-86, marked with the landing lanes used by Allied vessels during Operation Overlord and the large minefields they had to avoid. 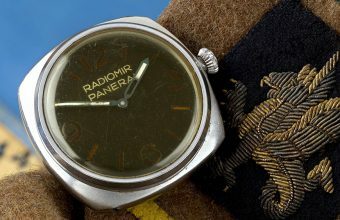 White’s collection also includes a photograph taken during the landing, along with a small bag of sand reportedly collected from Omaha Beach. The coastguard ensign flag is tattered and stained, having seen action in both battle and rescue, and is a poignant surviving relic from one of the most significant moments in 20th century military history.